Originally, thc -aka- Obek Janggut from Eastcorez Surfanglerz smsed me early in the morning to go fishing with the rest of Eastcorez Surfanglers at CP6. Then in the afternoon, the rest of the main cast called me up to go fishing too also at CP6. 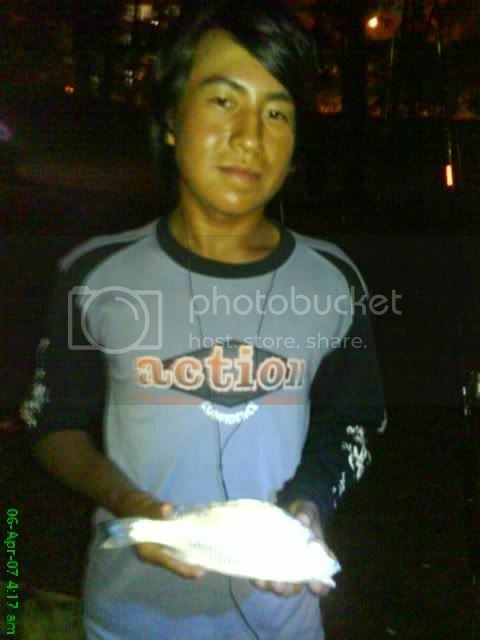 It was around 2pm, i ride up to Pasir Ris Pond to buy some sinkers and light stick and also to meet the rest of the cast. Weather was super hot and i was having some giddiness due to the unbearable heat. After buying the necessary stuff, i went back home and get a bit of rest before tying some big game rig and prepare my cooler box with my drinks and ice. Not to forget, my mum did prepared me some nasi sambal goreng for me to eat. Reach spot at 8pm and i could see that, there many rods and anglers around fishing. Obek called me up that he couldn't make it. Met my fellow kakis at the spot which i have brought them there before. 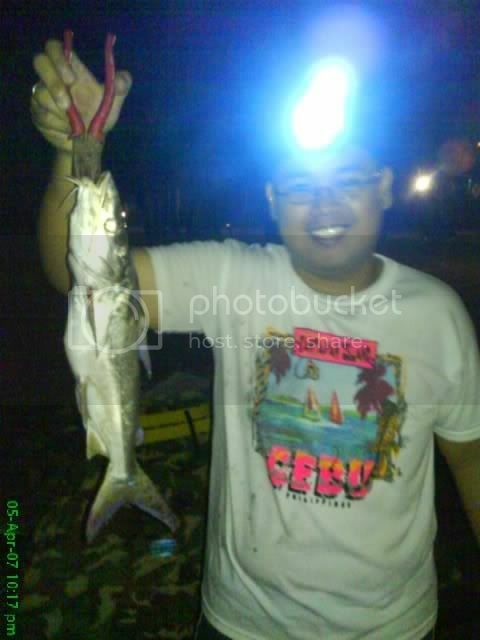 Once parked the bike, walked back to spot, set up tent and started fishing. Once cast the small game, took out my netcast and starting casting out. 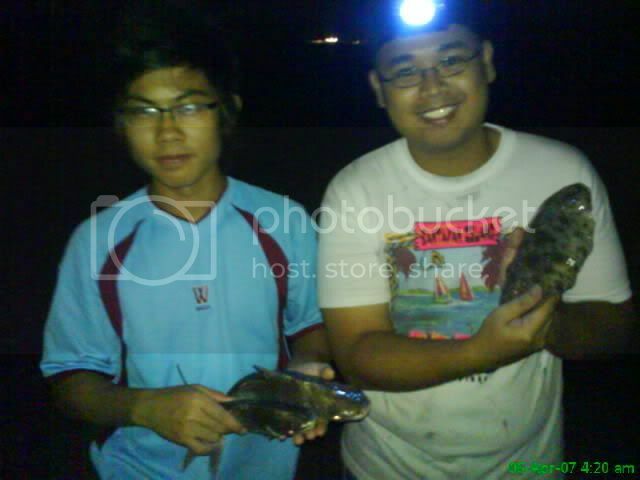 First cast, i got a pasir2 which i send out as bait. 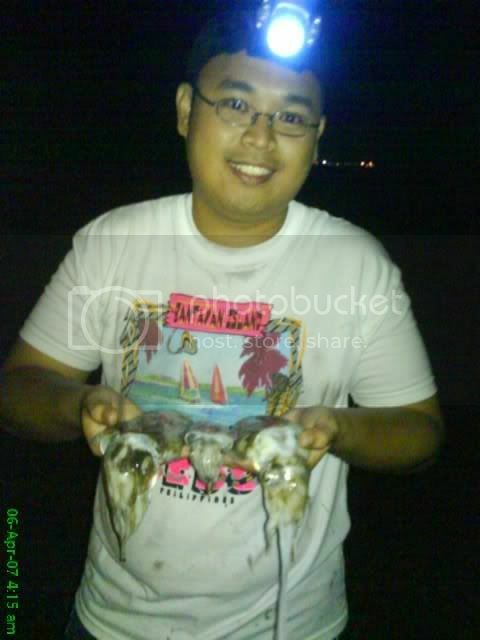 Second cast, in came a big cuttlefish with the size of around an adult palm with tua bak & flower crab. While i was removing the tua bak, suddenly the cuttlefish squirt it's ink from a far to my face and shirt and it really got it's target. 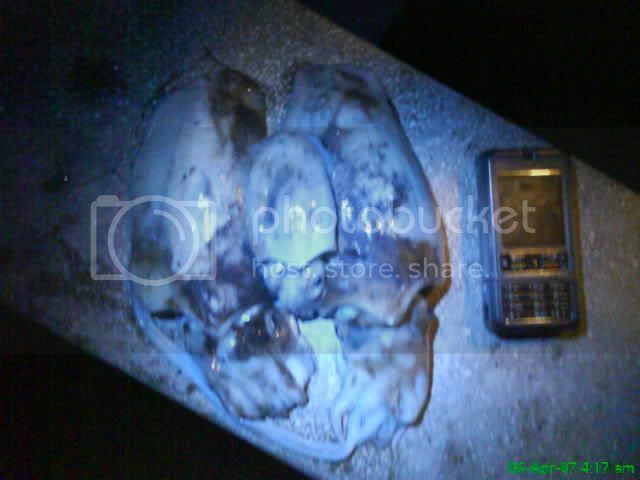 Damn, i am dirtied by the cuttlefish. Third cast, again a big cuttlefish and a smaller cuttlefish, this time i would not be fooled again, went to it's opposite and grab it's body and put into a pail. 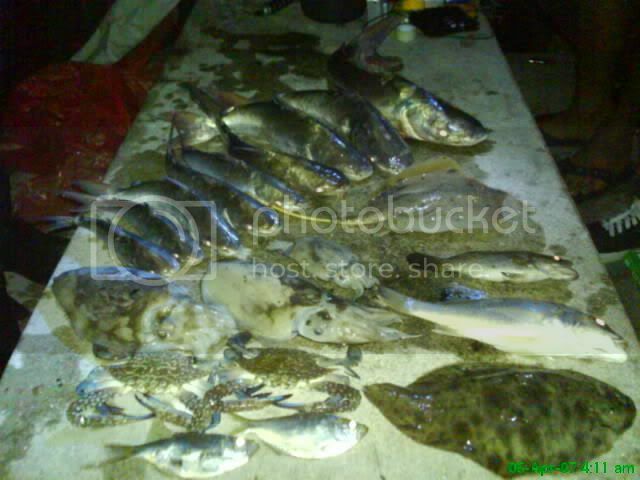 After having enough of netcasting, feeding frenzy came in for the rods, all small game rods were the Man of the Match for this outing, from small duri to big size duri were caught. 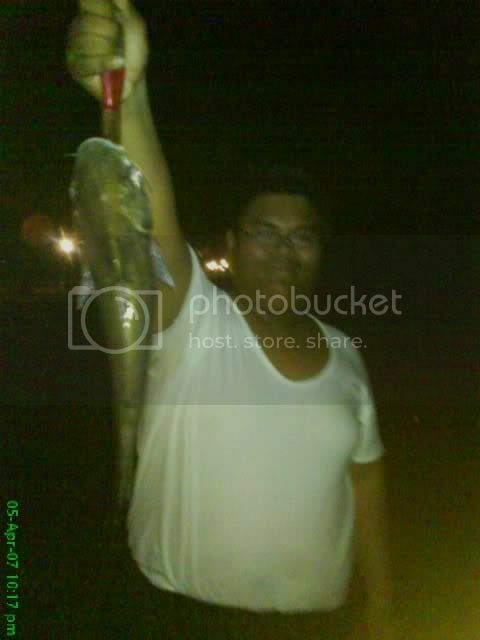 The biggest was a 1kg duri caught by Salleh and also his first ever big size fish on shore fishing. While the only nice size Gerut-gerut goes to Yan which made a good dash and even peel out his line out from his Abu multiplier. 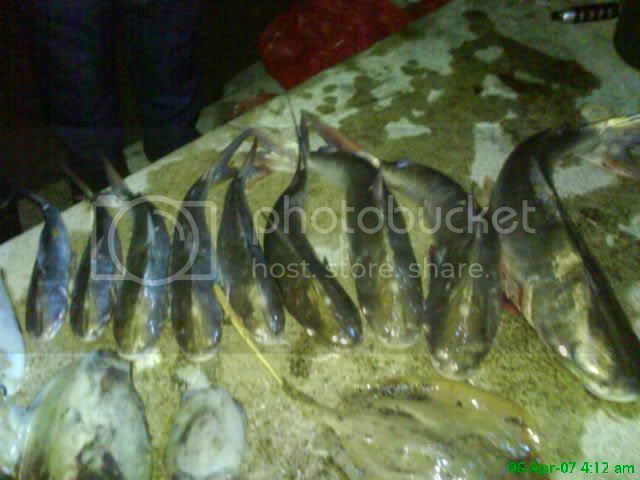 It was at around 3.30am when we decided to stop fishing as the tide has gone down at a fast speed.